The Cumberland Beagle Club provides a structured junior rifle program that is open to the public and always accepting new shooters. 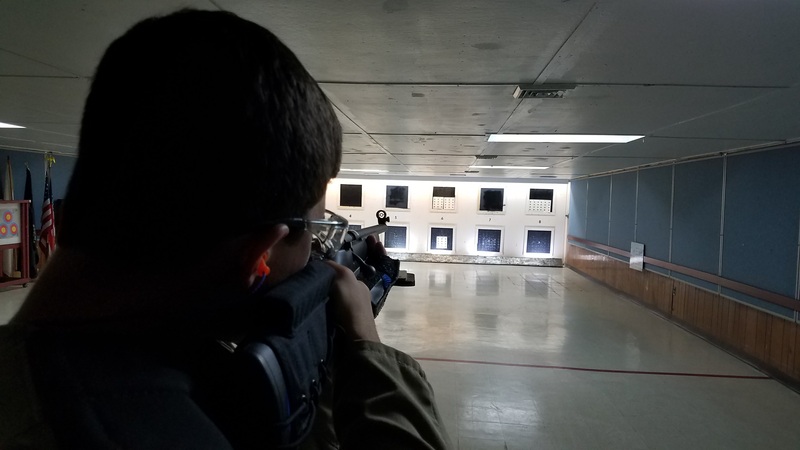 The goal of the junior rifle program is to help teach firearm safety and gun handling, as well as prepare shooters for competition. Safety is paramount and every new shooter must go through a thorough safety briefing before they are allowed on the range. Age Requirement Exceptions: In rare cases, children 8-9 may participate if proven that they can safely handle a gun and show responsibility. Cost: $5 per week to cover ammo and targets. The Junior Rifle Program and Team meet on Friday evenings. The general junior rifle program starts at 5pm and the team training starts at 7pm. Team competitions are Sunday mornings twice monthly from 9am–1pm from Oct-April. No scopes, red dots, etc. Peep sights are recommend over open sights. The club rifles have peep sights. Contact Tim Flanagan for more information. The junior rifle program shoots .22LR, not air rifle. The Cumberland beagle Club competition team is coming into its third year. In its second year, the team advanced from last place all the way to second, with the expert guidance and training of the club staff.